There are two types of men in life, and we’re not referring to the tedious “boxers vs. briefs” debate. 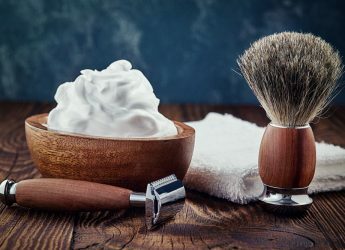 There are those who opt for the convenience, versatility and “safety” of electric razors, and those who prefer the time-honored, less-expensive and usually-closer manual shave. Over time, technological advances have allowed the best electric razors to deliver an experience almost as satisfying as a traditional wet shave – minus the sense of masculine accomplishment you can only get by lathering up and nicking your chin a few times, of course. Some serious cutting power and technology – we tested them all! 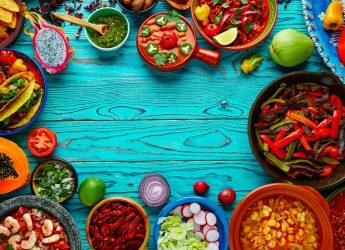 Keep reading to find out which one is right for you. Confused, then contact us directly or via the comment section below to ask our team’s advice. Please find our detailed analysis, buying guide and test results of all the best electric shaver models after the summary table. How to Choose the Best Electric Shaver (Razor)? In the world of men’s hygiene, it can be difficult to choose between all of the different brands and find the top-rated razors amongst all the varied and attractive products released. Groom+Style knows that finding the best electric shaver to suit your specific skin type, facial hair, and personal preferences is not easy. Those who prefer the quick and easy shave they get from an electric razor, find it’s easy to be confounded when trying to choose from the hundreds of models now on the market: two, three, four or five blades; foil or rotary; wet/dry, precision heads, flex motion – there’s no way to sort through all of the competing ad claims and confusing descriptions without trying them all. Unless, of course, you happen to have a list of the top 7 best electric shavers & razors handy. Thankfully, you do. Websites that provide detailed lists and reviews like ours are hard to find, and the Groom+Style review team has put in the research to make it worth your while. After a great deal of research and personal testing, the review team has compiled a list of the very best electric shavers for 2019. These are the products that are serious men’s hygiene tools – no gimmicks, no toys or marketing ploys, just great products. An excellent electric razor may be the most important men’s companion when it comes to effective hygiene. If we take a moment to consider how much time and effort women spend taking care of a tiny portion of hair covering their eyebrows and eyelids, it seems absurd for men to settle with whatever convenient shaver they may find on sale at the local supermarket. We can do better than that and owe it to ourselves to do so. What Factors to Consider When Choosing an Electric Razor? Choosing an excellent electric razor is a process that should be guided by a number of important factors including comfort, ease of cleaning, the closeness of the shave provided, shaving performance, overall value for the manufacturer’s asking price, and durability. 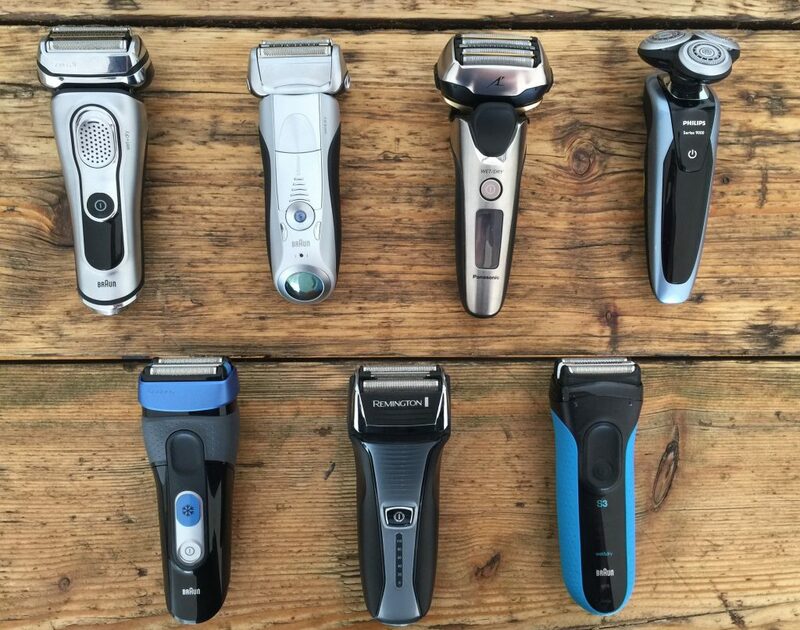 By taking all of these factors into consideration, the Groom+Style review team has arrived at a comprehensive list detailing the very best electric razors released for Apr. 2019. Our selection standard is highly advanced and objective, and Groom+Style will keep ahead of the trends by updating our list when a new or more sophisticated shaving solution arrives on the market. 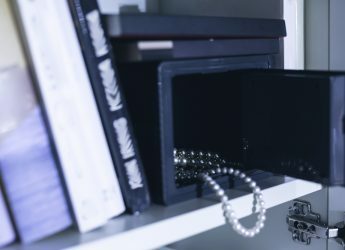 Just one look through any dedicated website or forum will offer more questions than answers – should I use a foil or a rotary shaver? 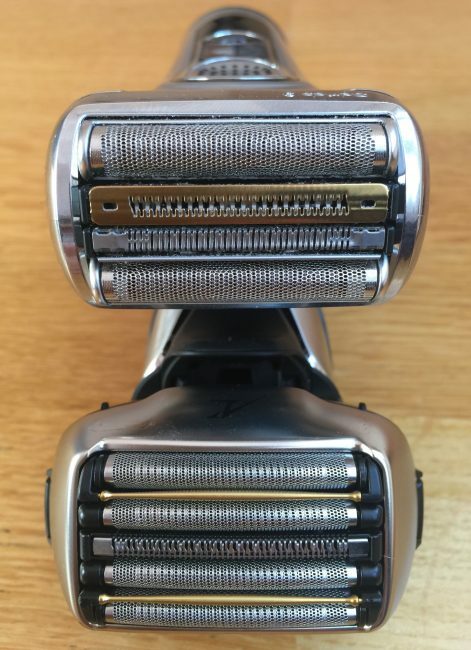 Will 3-blades, 4-blades or even 5-blades give me the closest shave? How can I know that I am choosing the right shaver before I buy it? Should I just give up and spend $400 on one of those old barbershop-style straight razors? Those are all excellent questions. But you’re in luck. Groom+Style faithfully reviews all of the best electric shavers available on the market and compiles the reviews for you. What follows is a comprehensive list of the very best shavers available for Apr. 2019, which will be updated as time goes on and new shavers are released. So here’s we’re handling it. In our top 7 rankings of the best electric shavers for men we recommend one or two shavers from each manufacturer – but we also provide links to dedicated Braun electric shaver pages, where you can browse all of their products and choose the specific model that fits your needs. Make sense? Here we go. Braun Series 9-9290cc Wet/Dry Shaver. Click the photo to see the Price on Amazon. Men who have used electric shavers in the past probably don’t need an introduction to Braun, the German company which has been in the forefront of electric razor technology for years. An introduction to the Series 9, though, is definitely one worth accepting. To start with, as soon as you pick up a Series 9 shaver you know that you’ve got something very comfortable and very substantial in your hand. 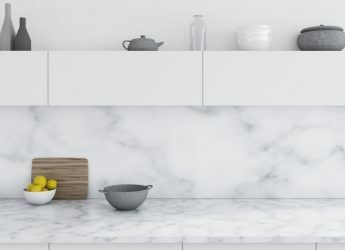 It’s made from chrome-finished plastic so it looks sleek, yet it’s solid and obviously extremely well-built. And when you turn it on and begin using it you know there’s something special going on because it delivers a closer shave than any foil electric razor you’ve used before (our #2 choice the Panasonic Arc 5 now shaves just as close – read section #2 for our Braun Series 9 and Panasonic Ar5 head to head discussion). Braun uses a four-way shear system, which is a combination of floating grills, four cutting elements, two Optifoil foils, to come very close to a manual shave. 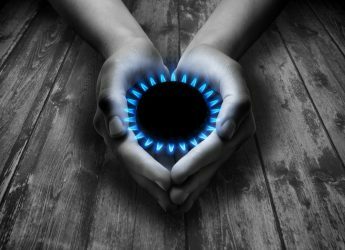 The company claims there are “40,000 cross-cutting actions per minute” which we obviously can’t measure ourselves; but however many there are, they definitely do the job. There is no better shaver for those who like to go days without shaving, or who have problem hairs that other shavers frequently miss. Two of the cutting elements are responsible for this razor’s outstanding performance. One is called “direct and cut” and another is designated “hyper-lift and cut.” The first is intended to shave the areas of the face where hairs are pointing in all different directions, the second is designed to lift up and then cut the hairs which lie flat in the neck and chin areas. While the Braun doesn’t get every single hair on the first pass – no electric razor we’ve ever used does that – these two elements are largely responsible for ensuring that almost all of them are cleaned up with just a couple of passes. 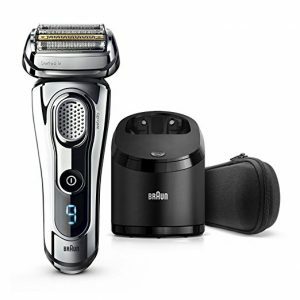 Note – Braun recently updated their series 9 shaver models. The original series 9 models start with 90xx (example 9095cc), and the updated models use the prefix 92xx (example 9290cc). 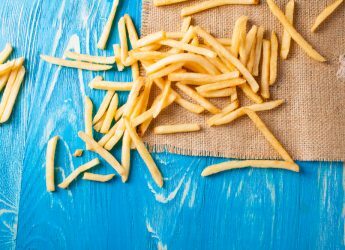 We discuss the minor differences and the reason for the change throughout the article below. In summary, Groom+style recommend you focus on the 92xx models as they come with the more durable titanium coated shaver head cassette as standard (part number 92s). If you are after a shaver head replacement for your 90xx model then you can also buy the 92s head – details below. Note – all the 92xx models are wet & dry and can be used with shaving foam. Although, not all of the 90xx models are wet & dry and with the first Braun Series 9 generation shavers, like the 9095cc, you cannot use shaving foams and gel. There are several notable features of the Braun Series 9 shavers. One is the battery life; the razor can go for almost an hour on a single charge, with a digital display showing the shaving time left before a new charge is required. There’s also a five-minute “emergency charge” feature which can give you a little extra time if you need it. The review team were also are impressed with the attractive combination cleaning and charging station (all the models that end with “cc” have the cleaning and charging station, while suffix of “s” is without the cleaning station) which gets all of the hairs out of the blades and disinfects them while your razor is recharging, and automatically determines how dirty your razor is before choosing the correct cleaning program. The Braun cleaning station – not everyone’s cup of tea, but it does leave your shaver feeling brand new. Use it every day or just once a week, the choice is yours. Read more about the series 9 shavers in our detailed review of the Series 9 9000 cc shaver. The one surprise we found is that there’s nothing new or terrific about the pop-up trimmer for sideburn, beard or mustache work. It’s basically the same as on previous Braun models and while it’s fine for what it does, it doesn’t outclass the field as the other features of this razor clearly do. Groom+Style believes that the shave from the Braun 9 is second to none. If you buy the product fully informed, and you are willing to pay the premium price for the shaver, cleaning solution and replacements heads then you should not be disappointed. The Braun Series 9 shavers are definitely in the higher price range but are also unquestionably the best electric shavers on the market. The Braun Series 92xx and Braun Series 90xx are effectively the same shaver (shaving performance wise), with a much-improved shaving head and the ability to use shaving foam on the newer models. 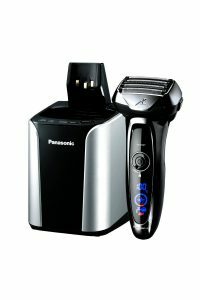 Panasonic ES-LV95-S Arc5 Wet/Dry Shaver. Click the photo to see the Price on Amazon. Are five blades better than four? Not necessarily, as the Panasonic Arc5 comes in just slightly below the Braun Series 9 in our rankings of the top 7 best electric shavers (we try and clarify our reasoning below). In fact, with their latest models (ES-LV9N-S, ES-LV9A-S, ES-LV9B-S) Panasonic have arguably closed the gap. No review list detailing the best shavers on the market would be complete without this excellent shaver. Yes, it is expensive, but it is easily one of the Rolls Royce machines in the world of men’s hygiene. This is one of the best shavers for men that money can buy and, if that is your buying criteria, then this might be the shaver for you. Is your thick and unruly facial hair presenting a problem for you every morning when you wake up and shave? Have you put your trust in other shaving products previously only to be disappointed? 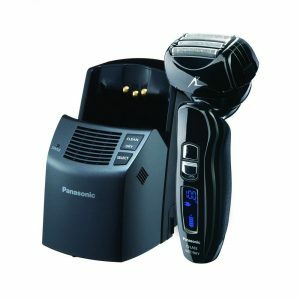 Thankfully, the Panasonic range of shavers ES-LV9N-S (ES-LV9A-S, ES-LV9B-S), ES-LV95-S & ES-LV81-K are there for you. Panasonic ES-LV81-K Arc 5 Multi Flex Wet/Dry. Click the photo to see the Price on Amazon. The Panasonic ES-LV models are the world’s very first 5-bladed linear electric razor. They are foil shavers – and as you’ve probably guessed, Arc5 means that it is designed with five arched cutting elements. They are built with a pivoting head like the Braun, with the same type of lift and cut action provided by the reverse-taped foils. That means these shavers have most of the same advantages: a very close shave for an electric razor, the ability to get almost all stray hairs with just one or two passes, and wet/dry capabilities. They also have the most powerful motor on the market, at 14,000 RPM, and a digital charge display in the ES-LV81-K whilst the ES-LV9N-S & ES-LV95-S get an LCD one. These razors feature 30-degree swiveling nano blades that offer the cleanest shaving experience possible, as well as an automatic charging and cleaning system and an attached trimmer. The Panasonic ES-LV9N-S & ES-LV95-S (and ES-LV81-K) are also 100% waterproof, making it a pleasure to use in the shower or bath. Why do they rank just below the Braun Series 9, then? The latest Panasonic shaver (ES-LV9N-S). Click on the photo to check the Price on Amazon. In fact, Groom+Style would rank Panasonic’s latest models (ES-LV9N-S etc. ) roughly on par with the Braun’s latest Series 9 shavers. There were two main (very minor) considerations, for ranking these razors (ES-LV81-K & ES-LV95-S), slightly behind the Braun Series 9 shavers – one cosmetic and one functional. The first disadvantage Groom+Style found to the Arc5 is that even though it’s smaller overall, it felt a bit bulkier, has a larger head and feels less comfortable in the hand. Since the control you have over your shave is completely dependent on how well the razor follows your direction, we thought the Panasonic came up a bit short there, with the larger head a bit more difficult to maneuver. The second issue was that, for the older model ES-LV95-S, we didn’t feel the shave was as close as that delivered by the Braun series 9 (this is however dependent upon a wide range of factors and many people feel the latest ES-LV9N-S delivers a closer shave). The gold rollers on the ES-LV9N-S really do help reduce irritation. You can feel them rolling/gliding over the skin as you shave. 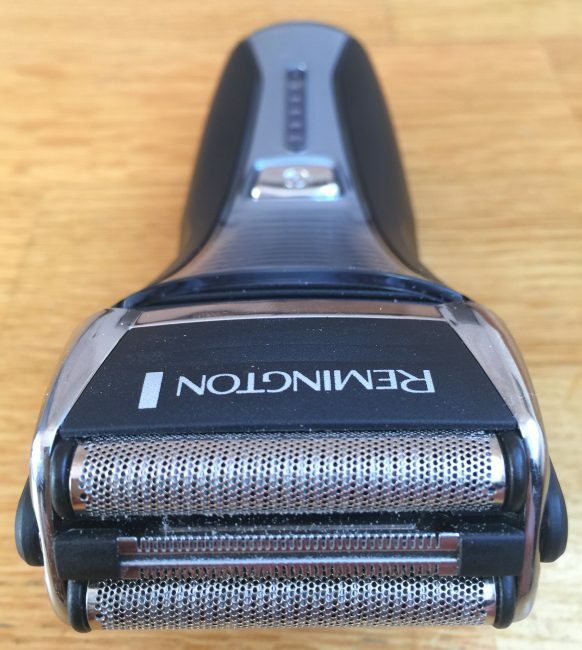 One of the common complaints made about the Panasonic ES-LV95-S (older model) was that the shave was slightly too aggressive – and for those people with sensitive skin, this could be an issue. The latest models (ES-LV9N-S, ES-LV9A-S, ES-LV9B-S) have been improved with the addition of gold rollers that are positioned next to the cutting elements. 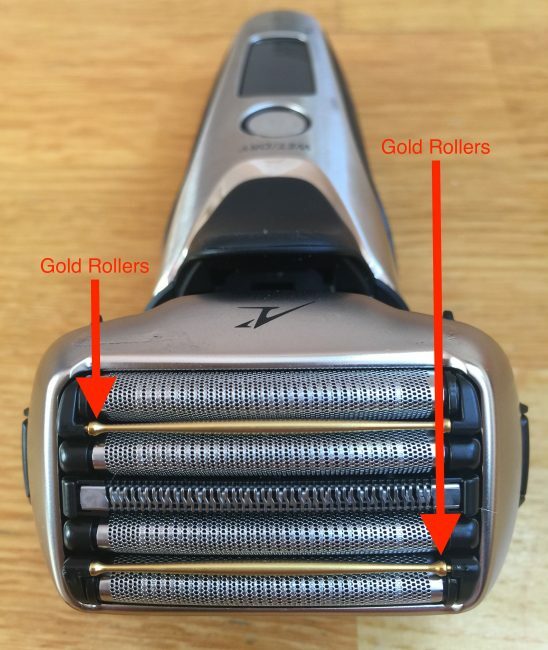 The rollers spin allowing the shaver to “glide” smoothly over your face, and to stop your skin from becoming squeezed in the gap between the cutting elements. Once again, the pop-up trimmer wasn’t exceptional but does the job. The Arc5 series are terrific razors and were our topper in 2014-15. The latest Panasonic models are arguably just as good as the latest Braun Series 9 shavers – while the older models come a very close second. Philips Norelco Series 9000 Wet & Dry Electric Shaver. Click the photo to see the Price on Amazon. Earlier we spoke of two types of men, the electric razor guy, and the manual razor guy. 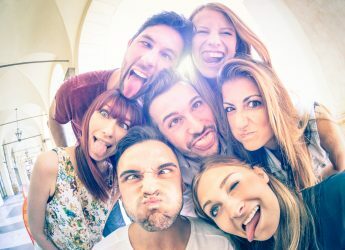 Dedicated users of electric shavers know there are two sub-groups among their number: those who prefer foil shavers and those who swear by rotary razors. For the latter group, the Norelco Series 9000 shavers (or series 8000 shavers detailed below) are head and shoulders above the competition. This shaver is definitely not your father’s shaver. To start with, it has an unusual body shape featuring a nicely-contoured grip, making it supremely comfortable to maneuver the razor around your face and offers a closer shave than almost anything else that you can find. The shaver head is elevated above the body where the three rotary blades can pivot, flex and tilt much easier than on a traditional shaver – Philips achieves this with what they call their 8-direction ContourDetectHeads. The cutting heads have 3 layers of grooves, which are smartly-designed and nicely-positioned to be able to get all of the different types of hair which grow on a man’s face, from stubble to long, stubborn strands which have been untouched for a while. There’s also a dual-blade “Super Lift & Cut Action” system built into the heads, which are perfect for the neck and jaw where stubborn hairs usually require multiple passes. 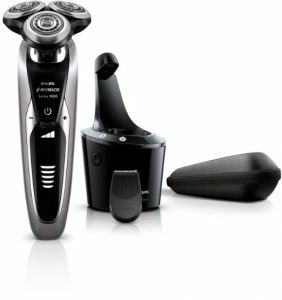 For those who like to move in circles, the Philips Norelco Series 9000 is the best rotary shaver available. In Groom+Stlye’s opinion, the Norelco Series 9000 shaver provides the closest shave of any rotary shaver currently on the market. Does it compare with the closeness of a manual shaver? Probably not, especially if you have a very thick beard which grows quickly. Does it compare with our top-ranked foil shavers? We think it’s very, very close. 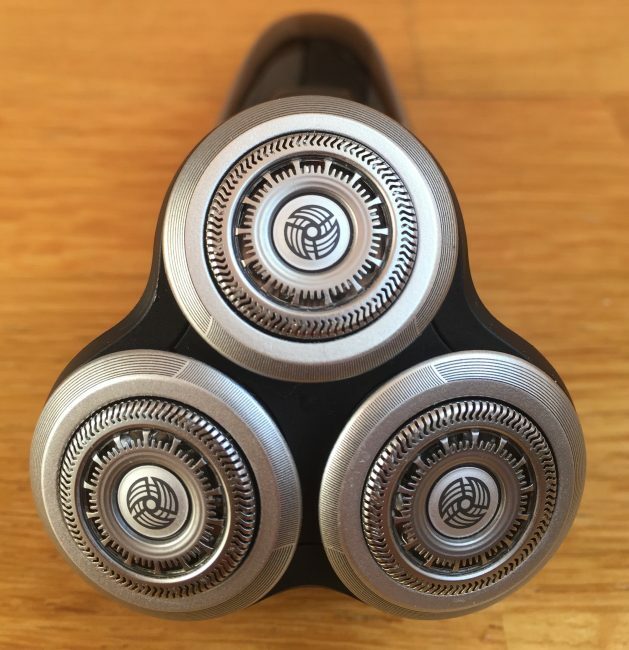 One of the benefits of this rotary shaver over foil razors is that the pressure distribution around the face, due to the pivoting 3 heads, is largely equalized, which can minimize irritation and inflammation when shaving. The Norelco Series 9000 shaver, includes the SmartClean system which washes, lubricates and dries the razor at the same time it’s being charged. The Norelco series 9000 shavers are attractive, full-featured, but more importantly, high-quality and effective – they’re the best rotary razors you can find. The Norelco Shaver Series 9000 has 3 models. The best value one at the moment is the S9721/89. Braun Shaver Series 7 7850cc Wet & Dry. Click on the photo to check the Price on Amazon. 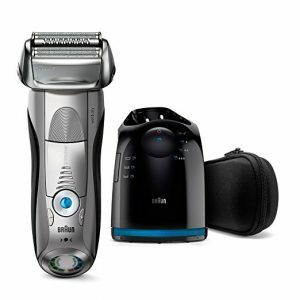 The Braun Series 7 shavers are a very advanced electric shaver that Braun carries on its product line, and it offers some of the most sophisticated shaving technology in their entire catalog. German engineering at its very finest, Braun consistently delivers excellent foil shavers, and this is one of their leading products. The Series 7 shavers feature a fully flexible pivoting head that allows for maximum adaptation to the contours of your face. The latest series 7 models feature five separate shaving modes, while the slightly older models feature three – effectively you can choose between, intensive shaving for heavily bearded individuals, normal mode, and an extra sensitive mode for those with sensitive skin. These shavers feature advanced technologies such as Braun’s proprietary Optifoil and ActiveLift systems, which are, like the rest of the product, a testament to world-renowned German engineering. This premium shaver deserves the popularity that it receives from the people who use it. If you are after a tried, tested and proven shaver (and don’t need/want the very latest device) then you can save some money by buying a Braun series 7 razor (rather than a series 9 shaver). Braun recently revamped the series 7 line of shavers and introduced a few new models. The older models start with the prefix 77xx while the newer models start with 78xx. Unfortunately, the changes are effectively cosmetic, and from what Groom+Style could tell, there are not any shaving performance improvements between the newer and older models. Other than the few external differences, the newer models can be used with foams and gels, while the older wet/dry versions did not support this. As mentioned above, the newer models have 5 personalization shaving modes, while the older models have 3. The only other key difference is in the terminology used to describe the shaving elements. As the functionality is so similar, Groom+Style suggest that if you are interested in a series 7 shaver, that you purchase the model that is the best value at the time you are looking (unless you really want to use shaving foam and gel, then you should buy one of the latest models). As with all razors, the prices can vary significantly, based on production volumes, availability, demand and time of year. Suitable as a Travel Shaver: Yes, automatic 100-240 voltage (AC adapter/charger), travel pouch included. No travel lock. Braun CoolTec Men’s Shaving System. Click the photo to see the Price on Amazon. The Braun Cool Tec shaver is the first to ever integrate an aluminum “cooling bar”, designed to lessen the effect we all know as razor burn – the burning and irritation some men get even by quality shavers. The bar is meant to reduce moisture and lessen tension in the skin in order to help deliver a smooth shave, and then furthermore to cool the skin to soothe any irritation which does occur. The cooling bar is like having an ice block against your skin as you shave. It feels really nice even if you do not typically suffer from razor burn. 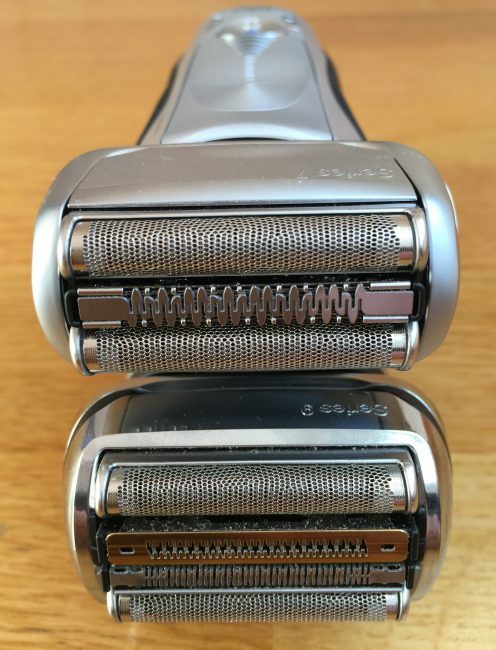 There are three cutting elements on the CoolTec, two which move independently to give as close a shave as possible; it’s not quite as close as the more expensive Braun Series 9 the review team placed at the top of our rankings, but that’s one of the trade-offs you have to make for the lower price. There is one important thing to note about this Braun model; while it is nominally a wet/dry unit, you cannot use it with shaving foams, gels or lotions. The CoolTec also comes with a clean and renew station that cleanses and lubricates the shaver as it charges – the only slight negative for some users is that when the razor is cleaned, it has a slight lemon scent the next time you use it. This model won’t give you the best electric shave you’ve ever had, but that’s why it’s ranked #4. What it will do is give you a darned good shave, at a darned good price and with an interesting cooling twist. Remington F5-5800. Click photo for Price on Amazon. There are plenty of men (we’d guess it’s the majority) who don’t want to spend a lot of money on their electric razor – they want a good shave for a low price. Our suggestion for that large group is this Remington shaver. The F5-5800 delivers the closest shave you can find with an inexpensive electric razor, primarily because of the “intercept trimmer” between the two foils which grabs longer hairs and trims them down to the level of the rest of the stubble on your face, to then be cleaned up by the blades. The foils are also allowed to float independently, so they can move along the contour of the face easily. An exceptional shave for the price, although it is quite aggressive. Not recommended for those who have sensitive skin. There’s no cleaning station with this Remington model, of course, because of the low price. 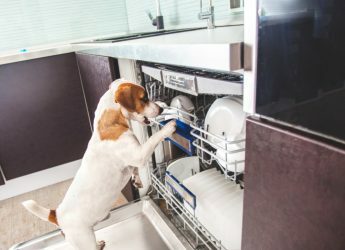 But it cleans up easily with a quick rinse under the faucet (it’s not a wet/dry model, but it is waterproof) and gives you a nice shave for a budget price. Note: Focus on the Braun 3040s (the older 340s has escalated in price for some reason). As with all their shavers, Braun recently gave the series 3 a facelift and renamed them – so the 340S has become the Pro Skin 3040. The shave is effectively the same but with a different look. This electric shaver is meant for those individuals who are looking for a great shave on a budget. The Braun Series 3 is capable of providing an effective, close shave without forcing you to pay big bucks for it. This is a highly efficient device that offers both dry and wet shaving functionality at an affordable cost that anyone can enjoy. If you are thinking about purchasing a Braun Series 9 shaver (or any other razor) it is important to consider the maintenance costs (other than the cleaning solution). Braun suggests that the cutter and foil cassette should last between 9-18 months. With the original Series 9 shavers, some customers had complained that the cutting head failed much earlier than the advertised period. Braun listened to their customers and started work on the newer, more durable cutting head which comes standard with the updated Braun Series 9 92xx shavers (the updated replacement head is part number 92s). For a short period, while the new head was being designed, there was a high demand and low supply of the original replacement foil & cutters – model 90s (silver) and 90b (black) – which drove up the price. The newer replacement head, model 92s, is titanium coated and Braun has redesigned it to better withstand the “power” of the shaver. – check for the Braun 92s replacement head on Amazon. Groom+style recommend buying the newer titanium coated head, model 92s, which is compatible with all Braun Series 9 shavers. Braun Series 7 vs the Braun Series 9 – Which One Should You Buy? Head to Head – Braun Series 9 (superior cutting power) vs Braun Series 7 (optimal balance of cutting power and value for money). Firstly, the team really like both the Braun series 9 and the Braun Series 7 shavers. From the G+S team’s experience they are both very high-quality shavers (Braun backs their products with a 2 year warranty) and we do not think you can really go wrong with either option (as long as you have reasonable expectations that you would apply to any electronic item and do not expect it to perform magic). If we were to summarise who should buy which shaver, then the general rules below could be applied. Read the detailed reviews of each shaver as well to help form your opinion. The closeness of shave & comfort –> from the team’s experience (variety of different facial hair types), it was easier and faster to get a closer shave with the Braun Series 9. The more powerful motor and enhanced cutting design (see details in the review above) also helped to minimize irritation. 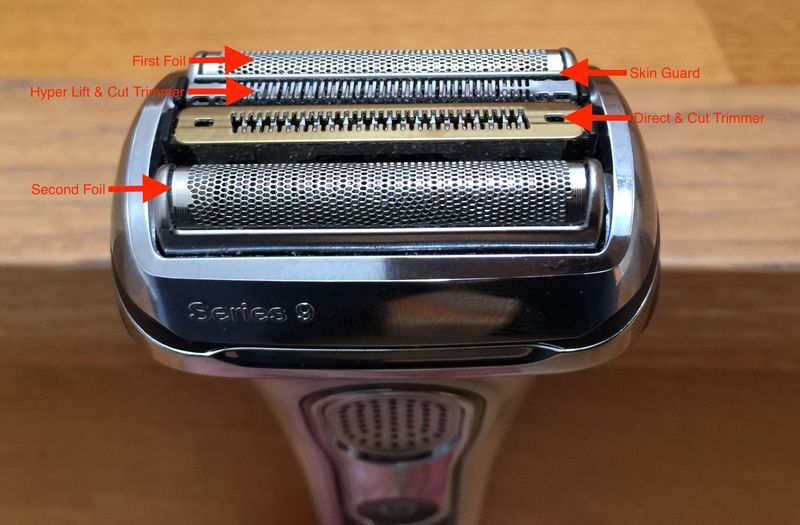 Shaving frequency –> if you have coarser facial hair or only want to shave every few days the series 9 will typically deliver a better shave. Purchase Price and cost of maintenance – the Braun Series 7 provides the best compromise in terms of performance and value for money. The shaver has been around for 17 years now and has a loyal following and long history of delivering quality shaves. If you do not need the latest shaver, want to save a bit of money, and want something proven then the Braun Series 7 might be for you. Panasonic Arc 5 vs the Braun Series 9 – Which One Should You Buy? Braun Series 9 or Panasonic Arc 5 head to head, who comes out on top? This is actually a really difficult question to answer as the quality of the shave provided by both shavers is of such a high quality, but this is our perspective (which will hopefully spark some debate in the comment section below). – If you do not have sensitive skin, have tricky hairs that tend to grow in different directions or are not going to shave every day, then we would lean towards the Braun series 9. The Braun 9 offers a slightly more aggressive shave and the two central hyper lift & cut and direct & cut trimmers work wonders, on longer or stubborn hairs. – If you have sharper contours on your face, then the smaller Braun shaver head will probably be easier to manoeuver in those areas. – If you are going to shave most days and want to avoid any irritation, then the Panasonic Arc 5 ES-LV9N-S, with the gold rollers, might be the way to go. The rollers will help the shaver glide over your skin offering an exceptional shave without irritation. If you do not feel you fall into any of these categories, and just want a close and fast shave, then either shaver will do the trick – so shop around and find the best value. Panasonic ES-LA93K Arc 4. Click the photo to see the Price on Amazon. Significantly cheaper than the top-tier, no-holds-barred Arc 5 option, this model offers the same motor, but with 4 cutting blades. Groom+Style may not be able to call this the Rolls Royce Model, but it is definitely a luxury shaver of class and esteem in its own right. 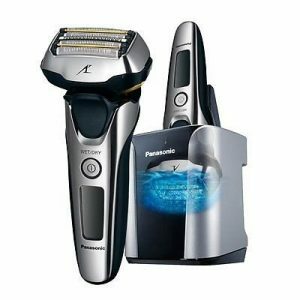 So if you love the Panasonic models but don’t want to pay for the Arc5 then this model might be just what the shaving doctor ordered. The ES-LA93K is a quadruple-bladed electric shaver with an extra fast 14,000 CPM motor that delivers a quick, efficient and close shave, without hair pulling or irritation. Getting a clean, close shave with this device is an effortless process that any man is sure to enjoy. It comes with sophisticated Slit Foil technology that allows it to catch longer hairs and cut them short in an equal manner with shorter ones. This Panasonic shaver comes with an automatic charging and cleaning dock that takes the need to manually wash it out of your hands, ensuring a clean and fresh-scented shave every time. Despite its high-speed motor, this is a surprisingly quiet, wet and dry shaver. 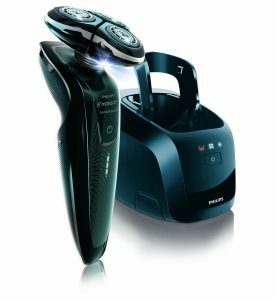 Philips Norelco SensoTouch 3D 1250X/42 Electric Razor. Click the Photo to see the Price on Amazon. The Philips Norelco SensoTouch 3D models have been rebranded by Philips as the Norelco Series 8000 shavers (8900, 8800, 8700 etc). Before, the Series 9000 shavers came along the 1250X/42 was Groom+Style’s preferred rotary model from Philips. If it was not for the fact that the retail price of the 1250X/42 is actually higher than the newer 9000 Series S9311/84 models (and effectively the same as the S9721/84 model), it would probably still be at the top of the list of preferred rotary shavers. The performance differences between the newer Series 9000 models and the Series 8000 (1250X/42 models) are negligible. The key difference seems to be that the technology has been renamed (see below). This might be a good thing as it indicates that other than replacing the shaver heads (which you should do every year) you will not need to replace the actual core shaver for many years to come. These seven shavers represent the very best available and will provide excellent shaving results. Any man who is looking for a top rated electric shaver that offers the highest in quality, comfort and closeness can utilize the information in this review, combining it with his personal preferences, to make an accurate purchasing decision. For example, Braun made it to the Top position and is the best shaver for the man who wants a premium foil shaver, with all the latest innovations. The Braun Series 9 might be a good fit if you are attracted to a list of the top 10 best luxury watches. However, this might not be your requirement, and if you have sensitive skin, then the Braun Cooltech would be ideal. If you are on a budget then consider the Remington F5-5800 or Braun Series 3 shavers. So knowledge of Groom+Styles’ reports combined with a common sense approach to your situation will help you make the right choice. Dilemma Of Black Men- Are There Any Best Electric Razors for Us? Finding the right electric shaver for your skin can be difficult. In fact, for most people, finding an electric shaver is a process of trial and error, even if their skin isn’t particularly sensitive and their hair is neither curly or course. The needs of Black hair and skin up the ante, as your skin is more sensitive, and your hair is curlier and coarser than most. Because of this, finding an electric shaver that doesn’t irritate or promote ingrown hairs can seem like an impossibility. Worry not, though, we’ve collected four of the best electric shavers for Black hair and skin for your comfort. Simply put, Groom+Style have done the research for you. The Braun Series 7 & 9 are high-end razors that will set you back a pretty penny, but it well worth the cost, if you are an African American man with sensitive skin. The 790cc, 799cc and 9095cc, for example, use active lift technology, and intelligent pulsonic technology to help stand the hair up, which keeps the razor away from the skin. 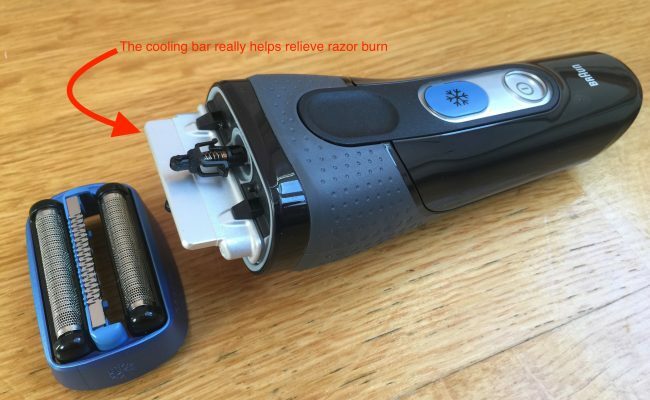 Sensitive skin reacts poorly to having a razor directly on it, and Braun has figured out a way to offer a close shave without placing the razor directly on the skin. 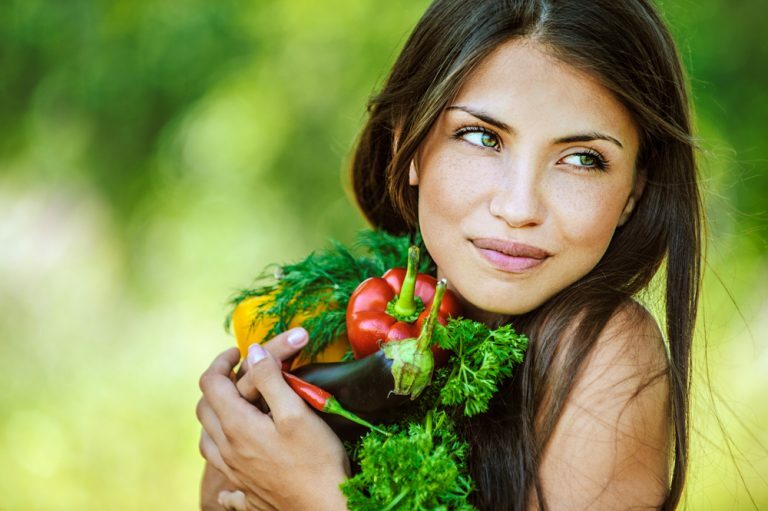 Active lift technology helps to lift curly hair up from the skin, and the pulsonic technology adjusts the vibrations to meet the needs of your particular, unique skin. The Panasonic Arc3 works best as a trimmer, instead of a traditional razor. The interchangeable length allows you to trim down a beard without going for a completely smooth shave. Dermatologists that special in African-American skin, suggest this might be the best bet for men with sensitive skin. Because of the curly, course nature of your hair, you are prone to ingrown hairs, and razor bumps. Trimming, instead of going for a completely smooth shave, prevents this problem and can lead to healthier skin. This electric shaver can get a smooth shave if you desire, but that isn’t what it is best for. If you are in the market for an electric shaver with superior trimming power, the Arc3 is a safe bet. The Wahl Professional 8061, is an electric shaver that promises a close and precise shave without causing the skin irritation that black men with sensitive skin often face. It comes equipped with a “bump-free” razor, which helps to pick up the hair and prevent ingrown hairs and painful razor bumps. The Wahl is a good razor on very short hair, or a beard that is grown back in, but you’ll need to use a traditional trimmer prior to using the Wahl, as it tends to yank on longer hairs. 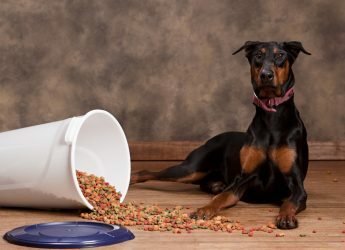 While that won’t cause problems with the end result, it is certainly painful and can be avoided. The Phillips Norelco PowerTouch is one of the cheaper options on the market, but it still does a good job to get a smooth, clean shave without irritating the skin. Unlike the other electric shavers, this razor utilizes three, rounded blades to create a close, clean shave. This can be particularly helpful for African-American skin, as the blades work in several directions, and hair growth most certainly isn’t uniform. This razor also utilizes moisture strips that are said to soothe dry skin, which is a common complaint among men with sensitive skin. Finally, it works to cut the hair just below the surface for a super smooth shave. These four razors are among the most highly-rated and well-liked in the Black community. They seem to work well for those with sensitive skin, and special shaving requirements. Each of these electric shaver options allows you to work with wet or dry skin. Most with sensitive skin find that wet skin prevents more razor bumps, burns and ingrown hairs. With that being said, everyone’s skin and hair is different, and you may need to try more than one razor to find the best fit for your skin. To get a good starting point, consider visiting a barber who is versed in the needs of black hair and skin, for a single shave. Once you’ve had a shave with a straight razor, you can begin working with an electric shaver to keep things neat, tidy, and, most of all, pain-free. Please note if you are a frequent traveler then you might want to read Groom+Style’s best electric travel shaver review. P.S: These reports supersede our recommendations for top razors list of 2014-15. – Shave at night. In the morning your face is puffier which means the hairs are not going to protrude as far out of the skin, and are going to be harder to shave. Hope some of this helps a bit. 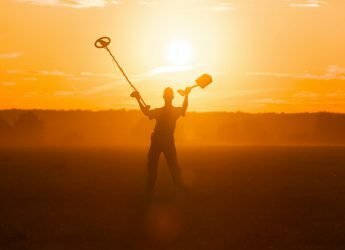 I have a question, hoping you can help? I have the world’s worst beard=impacted and tough. Even safety razors don’t do it for me. Takes me 45 minutes to shave. Circular type shavers don’t cut it either, any ideas? My routine: shave most every day. I’ve tried every electric shaver on the market. Only the Braun does a good job. In past years, it’s taking me 45 min to shave and my skin is starting to be irritated. My wife is giving me a routine of vitamins and I suspect that one of them is provoking the rapid, course hair growth. We have tested the Braun Series 9 and Panasonic Arc 5 on men with very thick and tough beards and they have performed extremely well – I will send some images to your private email. No electric shaver will shave as close as a new/sharp/quality manual blade, but the Braun Series 9 and Panasonic Arc 5 get very very close. The Braun Series 9 and the Panasonic Arc 5 come with a clean and charge station. This means that after the shave you place the razor into the station and it gives the shaver head a clean and it will charge it ready for use the next day. This clean also lubricates the shaver heads ensuring they will last as long as possible. The body of these electric shavers should last an extremely long time (10+ years), but it is the shaving heads and blades that will need replacing. Please read our answer to Bill on November 10th 2017, where we talk about how long the shaver heads will last and the cost of the cleaning liquid which is needed for the clean and charge station. Effectively with the Braun series 9 and Panasonic Arc5 shavers, the majority of the cutting and trimmer function is contained within the “shaver head” – that is why replacement heads are quite expensive to replace (and need to be cared for [cleaned and oiled regularly] to ensure they remain sharp etc). For the Braun series 9 the shaver head has 2 built-in cutter foils and 2 built-in trimmer functions which are driven by the motor in the shaver body. 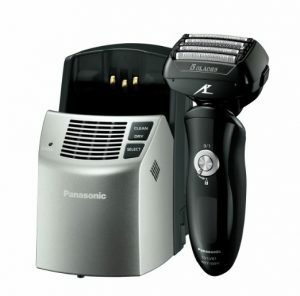 For the Panasonic Arc5, there are 2 cutters external to the shaver head but the shaver head also has 2 additional built-in cutters and a built-in trimmer – all are driven by the motor in the shaver body. I will send you some photos to the email provided so you can see this all clearly. I don’t understand how these are 5 blades,there are only 2 rows of blades under the foils.There are 5 foils on the head but the foils do not cut do they? I thought just the blades under the foil does the cutting. Even though the other types or shavers are hyped, I would automatically go with Braun Series 9290cc as my best choice. I have used it severally and I can say yes, it gets you what you want. I recently bought Remington and it works perfectly. It cuts smoothly on my skin. 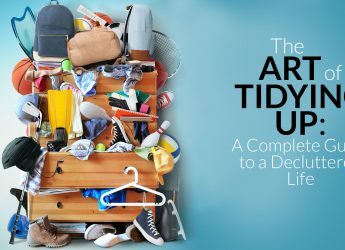 Effectively, any of the shavers on our list would work…it just depends on how much you want to spend and how long you want the shaver to last. I assume that your goal would be to buy a reasonably priced shaver like the Braun series 3, Braun series 7 and Remington F5-5800 Rechargeable Foil Shavers (premium shavers like the Braun Series 9 and Panasonic are going to be too much shaver for someone just starting out). You will probably also need to focus on a shaver that will not irritate a young man’s skin (the Remington F5-5800 is probably slightly too powerful/aggressive), which is not used to being shaved (although any electric shaver is going to cause less irritation than a blade, and younger skin is going to be more resilient than an older man’s skin). I spoke to my nephew who is 14, he uses the Braun Series 3 shaver and loves it. He only needs to shave once a week at this point above his lip and chin (he has light fluff on his sideburns but is not shaving that yet) but says the shaver captures all the hairs very easily and does not irritate his skin. 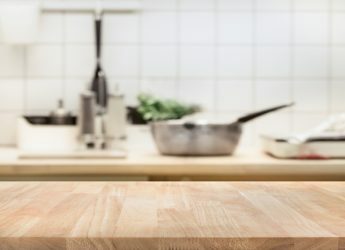 The Braun Series 3 is reasonably priced, easy to charge, and clean under the tap, and should be sufficient to handle his shaving needs at least for the next 4-5 years (at that point if his hair gets coarser etc then he can decide to upgrade to the Braun Series 7/9 or Panasonic premium shavers). Feel free to read more on our page above and do let us know if you have any additional questions. WHAT IS THE BEST ELECTRIC RAZOR, PREFERABLE WET/DRY FOR A TEEN’S FIRST WITH MORE SOFT FUZZ THAN COURSE HAIR? – will he want to clean the electric shaver himself, or will he be comfortable using a Clean & Charger Station? – how sensitive is his skin? – as we get older our skin gets a bit “looser” so the technique he uses will have to be adapted. – how close a shave is he after? Please read our answer to Joan on the 17th of April 2017, who had a similar question. 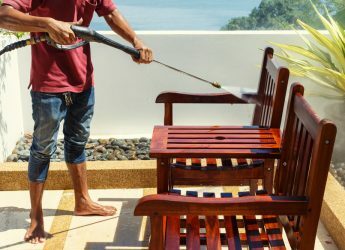 – so maybe you could help your father replace the cleaning solution every 6 weeks or so. 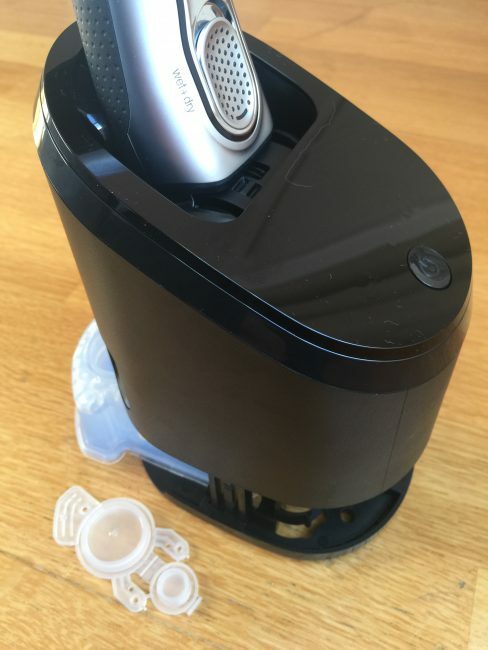 It is a pretty convenient way to clean a shaver, all your father would have to do is place the shaver in the cleaning station at the end of the shave, and it would be cleaned, sterilized and charged for the next day. From there you could look at the Braun Series 7, or Braun Series 3 shavers respectively. They will not shave as close but are very well built shavers etc. Hi, I am looking for a new electric razor for my elderly father (93). He can shave himself. His stubble is still fairly tough. I would appreciate your advice. We would lean towards the Braun series 9 9290cc over the Philips Norelco S9311/84 – unless you have used rotary shavers in the past and have a particular affinity with rotary shavers. 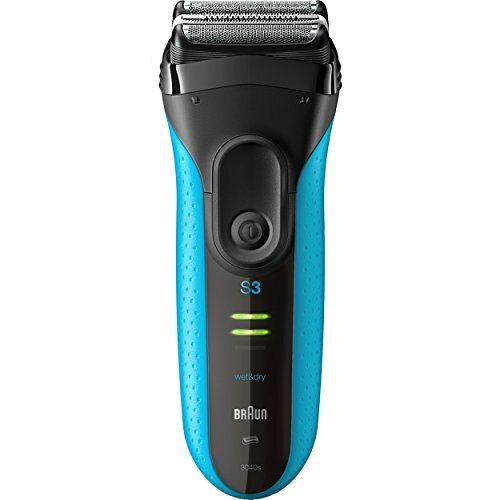 In regards to trimming your sideburns, what trimming length are you after and what style are they – because the trimmers on both the Braun series 9 9290cc over the Philips Norelco S9311/84 are “simple” pop up trimmers that can define edges and “attack” long hairs which can then be shaved later. So whether or not the pop up trimmer is on these shavers is going to be sufficient for your needs depends upon your requirements. 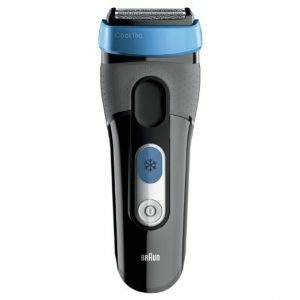 You can check out this page for more detailed photos of the Braun Series 9 and its pop up trimmer for more information. If you have quite specific needs in regards to your sideburns (i.e. they extend down your jawline and you like the hair to be kept a specific length) then you might need a product with a more featured trimming solution – if that is the case you could always consider a product like the Philips Style Shaver QS6141/33 Dual Ended Shaver and Beard Trimmer which we talk about on the page below. I will email you directly in case you have any follow up questions. I don’t have much facial hair and I shave once or twice a week. Should I get the Braun series 9 9290cc or the philips Norelco S9311/84, Shaver 9300? I want to trim my sideburns too. Thanks for the question – will try and deal with your points in order. Battery life – do you not get a chance to charge the shaver between shaves (also a relevant question when we consider the clean and charge station)? Either way the Braun Series 9 and Philips Series 9000 will run for about 50 minutes between shaves. Blade/Cutter/Foil life – Please read our answer to Bill on 10th of November 2017 where we talking about the maintenance costs of the Braun Series 9 and Panasonic. This is rough but considers replacement liquid for the clean and charge station and replacement cutters. 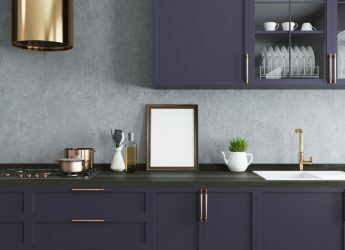 At the end of the day, there are costs involved and the differences between the 3 brands (Braun, Panasonic and Philips) are not going to be huge. Note – the clean and charge station, will definitely extend the life of your cutters, the cleaning station will clean the cutters, and lubricate them to keep the cutters sharp. But when it comes to costs, you are then paying for the cleaning liquid etc. So if you did not want to buy the cleaning station, then the key to extending the life of the cutters is to clean the shaver daily and use the recommended spray to keep the blades lubricated. When it comes to the Philips Rotary, I would be hesitant to recommend this for you. Any switch between foil and rotary, or the other way, will take some getting used to. And especially from foil to rotary, you will typically just not get the same closeness you are used to with the foil (which seems to be one of your key shaving requirements). The rotary cutters could very well last longer, but I am not sure the cost saving would be significant. As for the shaving with a foil, and tricky hairs…please read our answer to Bogdan on January 25th 2017. We find starting with the popup trimmer to snip off problem hairs on the neck etc certainly makes a huge difference. If cost is a huge factor, and the closeness of shave, then you could always consider a safety razor? Please do get back with any additional questions you have.